Observation - Black seaweed - UK and Ireland. Description: Black. Not sure if the colour is how it started out or because it dried out. Masses of seaweed on beach but nearly all of it soggy. Black. Not sure if the colour is how it started out or because it dried out. 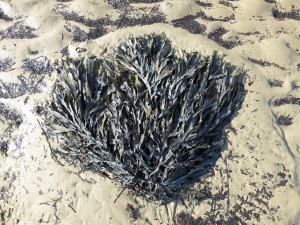 Masses of seaweed on beach but nearly all of it soggy.